The images below come from a group of photos assembled after World War II by an art historian who was working for the Allies to restore looted Jewish art to its owners. The album, which was kept in the German Federal Archives in Koblenz, depicts furniture and crates being loaded into trucks, as well as these images of everyday household objects, assembled in massive groups. The photos were preserved with virtually no metadata, leaving historians to try to identify the locations and people depicted. All 85 images from the Koblenz album appear, with context and analysis, in the recent book Witnessing the Robbing of the Jews, by sociologist Sarah Gensburger. 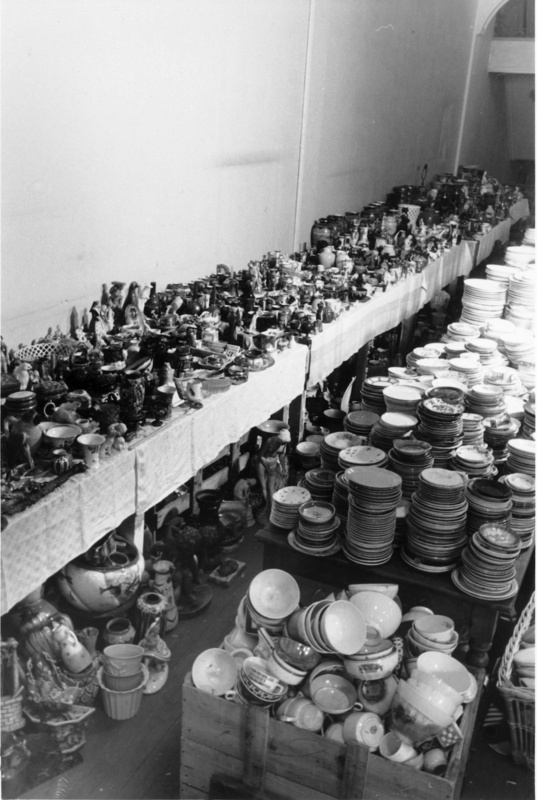 Gensburger writes that it seems that the images below, of domestic objects assembled en masse, were taken in the Paris department store Lévitan (which was itself formerly Jewish-owned). This was one of a few sites where Nazi occupiers of Paris gathered goods for redistribution into German hands. At Lévitan, goods were divided into type and aggregated into "departments" by Jewish internees assigned to work at the store. Some of the images in the album show items arranged into shoplike displays, presumably for the benefit of the high-ranking Nazi official whose visit is depicted in some photos. 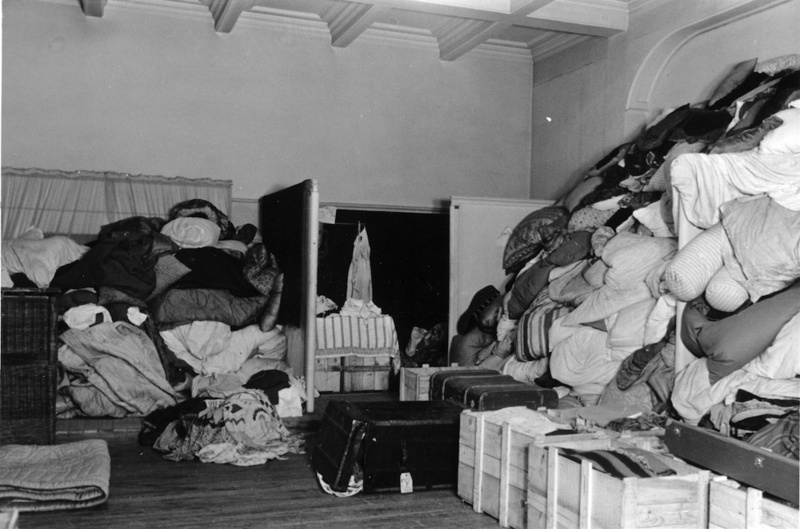 Gensburger points out that the Nazi intentions in taking such low-value objects went beyond greed. "These images," she writes, "show the extent to which the looting of Jewish possessions in all its various forms was, more than anything else, a process of destruction and anonymization." Looked at this way, a photo of a room full of bedding is also an image of the erasure of Jewish homes. Textiles at Lévitan. Photo ID number B 323-311 No. 38. 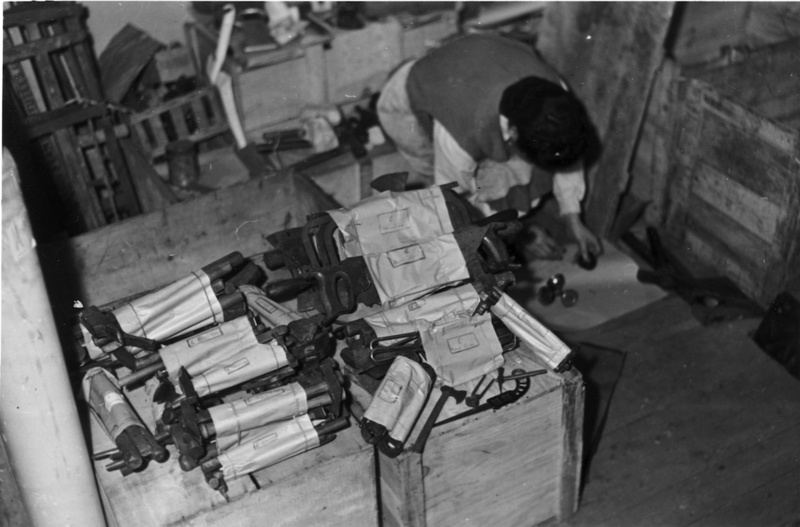 An internee puts together six-piece tool kits at Lévitan. Photo ID number B 323-311 No. 53. Crockery at Lévitan. Photo ID number B 323-311 No. 65. 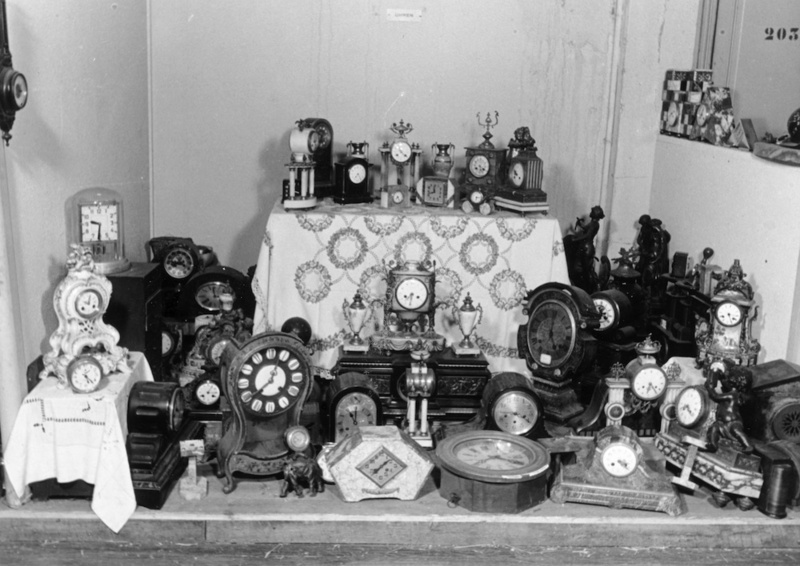 Clocks set up in a display at Lévitan. Photo ID number B 323-311 No. 70. 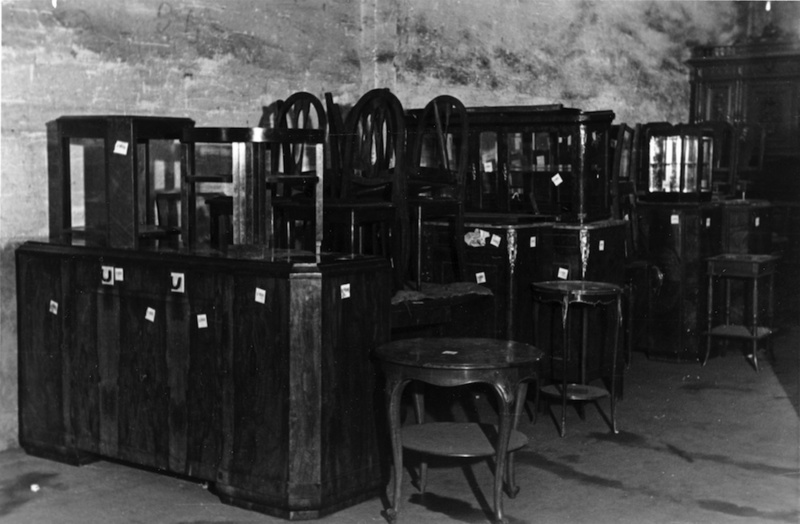 The former internees Gensburger interviewed called this the "kitchen dresser department"; the location of the photograph remains unidentified. Photo ID number B 323-31 No. 74. 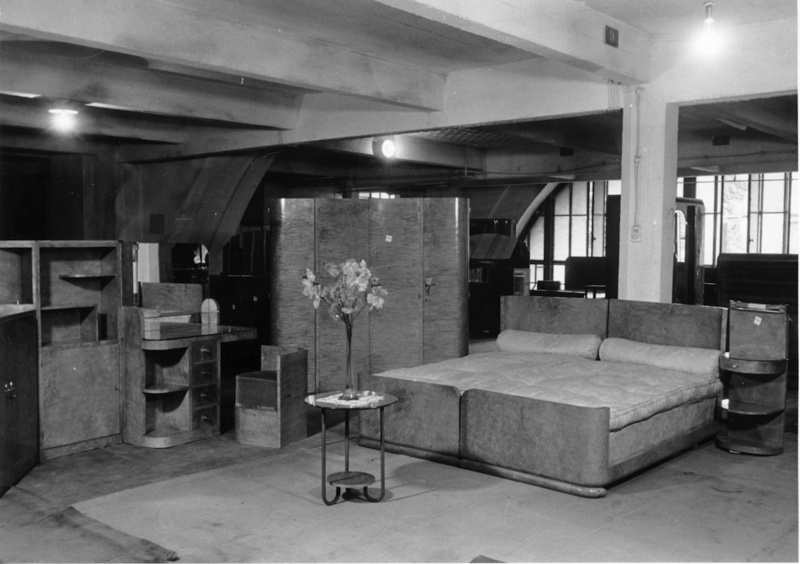 A room of looted furniture at Lévitan, set up in department-store display mode. Photo ID number B 323-311 No. 75.